Bayern Munich will be looking to defend their Bundesliga title from ambitious Schalke. Arjen Robben injury could hinder Bayern Munich's defence of Bundesliga. Real Madrid captain Raul signs for challengers Schalke. Wolfsburg new boss Steve McClaren is league's first English manager. London, England (CNN) -- The 48th season of the Bundesliga will commence this week with champions Bayern Munich looking to defend their title against Steve McClaren's Wolfsburg. After Die Mannschaft's exhilarating performances at the World Cup, the profile of German football is higher than ever before. Star performers in South Africa, Werder Bremen's Mesut Ozil and Stuttgart's Sami Khedira may have been snapped up by Real Madrid but with the likes of Thomas Muller and Arjen Robben still at Bayern Munich and Spain legend Raul signing for Schalke, the race for the Bundesliga title could be the closest yet. 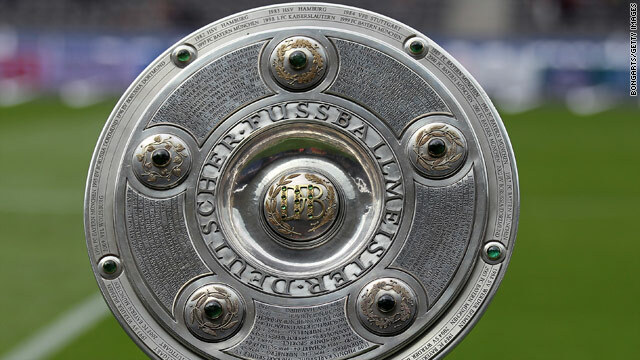 Bayern Munich may have won all the baubles last term but their championship defense will be far from straightforward. The likes of Schalke, Wolfsburg, Werder Bremen, Hamburg and Bayer Leverkusen all stand a chance of snatching the crown from Bayern -- a club nicknamed 'FC Hollywood' because of its reputation for big-name stars and high-octane drama. Surprisingly, however, the team that has made the transfer headlines this summer hasn't been the Bavarians but Schalke. Under the management of Felix Magath, the club secured the signature of Spain's record top scorer Raul as well as the injury-plagued but highly talented center-back Christoph Metzelder -- both from the Bernabeu. Magath isn't the only manager who's signed some 'new' old talent. Veteran German captain Michael Ballack has been lured from Chelsea to his alma mater Bayer Leverkusen by boss Jupp Heynckes. At the other end of the table, Kaiserslautern return to the Bundesliga for the first time in four years and eccentric outfit St Pauli are back in the top flight for the first time in eight. They replace Vfl Bochum and HSC Hertha and will be expected to battle for survival against Nurnberg, Koln, Hannnover and Mainz. All eyes will be on new boy Raul as he looks to make an impression on the Bundesliga. Initial signs look promising for the former Madrid captain as he scored a brace on his debut against Bayern in a 3-1 victory in the LIGA total! Cup final. Raul and Metzelder's arrival at Schalke combined with the return of Jermaine Jones from long-term injury could help Felix Magath close the gap (just five points last term) on title favourites Bayern. The big news for Bayern is their having retained the services of superstars Arjen Robben and Franck Ribery. Add to that the blossoming of World Cup golden boot winner Thomas Muller and the maturing Bastian Schweinsteiger means the champions will certainly prove a tough test. The challenge for Louis Van Gaal however will be to keep his stars fit. Although Ribery -- who suffered a nightmare last season because of recurring injuries -- looks set to be ready for the opening game, Robben has been ruled out of action for up to eight weeks with a torn muscle. Despite the dominance of Bayern Munich, three clubs have won the title in the last four years -- making the Bundesliga one of the most competitive in Europe. This season, Van Gaal's side will be considered favourites but Felix Magath, who won the championship twice with Bayern and once with Wolfsburg, will be looking to repeat that feat as Schalke coach. One outside bet for the title is Wolfsburg under new manager Steve McClaren. The former England boss had left the Three Lions under a cloud -- albeit beneath a nice big umbrella -- when they failed to qualify for Euro2008 but subsequent success with Dutch side FC Twente has seen his stock rise once again. If McClaren, the first Englishman to manage in the Bundesliga, can successfully retain his Bosnians: striker Edin Dzeko and midfielder Zvjezdan Misimovic, then the Wolves could mount a serious challenge this season. CNN's Kate Giles - "It always feels like a mistake to bet against Bayern Munich in the Bundesliga... and it might be more based on hope than conviction... but I think that in 2010 Bayern might just have to settle for second. "I can't deny Bayern do have the best squad in all of the German league, plus a very experienced and capable coach in Louis Van Gaal. And yes, this is his second season in charge, so they probably won't have the same rocky start to this campaign as they did the last. They also go into the new season as reigning league and cup champions. "So they're pretty much a safe bet. It's the Bundesliga. Bayern are always a safe bet. But -- and here's something I never thought I'd say -- I think Schalke have what it takes to beat them. "They're a new force under Felix Magath. The coach proved how far he can take a pretty average side when he took Wolfsburg to the title in 2009. In his first season at Schalke he took them to second place. "This season, he's brought in some much-needed experience to the side, not to mention goal-scoring prowess in the form of Raul. I admit there are big question marks. How quickly will Raul adapt? And will Schalke manage the added burden of the Champions League? However, I think they will have the heart to triumph over perennial champions Bayern, who might have misplaced confidence after last season's trophy haul. "I can't say I have much confidence that any of the other sides can mount a challenge but there's a few worth keeping an eye on. I'm hoping to be impressed by Steve McLaren at Wolfsburg -- after the club managed to hold on to Grafite and Edin Dzeko. "And Hamburg, Leverkusen and Stuttgart should be battling for the Champions League -- but they'll probably have to settle for a tier lower. Whilst Bremen saw their chances of challenging walk out the door with Mesut Ozil's exit to Real Madrid."